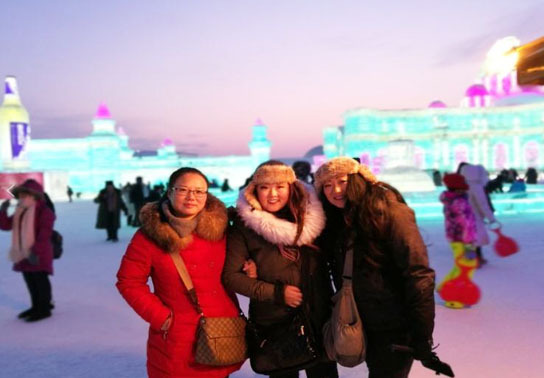 HARBIN WINTER CLOTHING RENTAL - HARBIN WINTER CLOTHING RENTAL - Harbin Ice and Snow Festival English Speaking Small Group Tours, Harbin Winter Clothing Rentals ,Harbin City Group Tours, English Speaking China’s Snow Town Small Group Tours, Coach or Bus Tours, Harbin, China. Warm Comfortable Experiences! Get outfitted with warm clothing so you can enjoy your time outdoors – view Harbin Ice and Snow Sculpture Festival and participate inHarbin winter activities in comfort. Our Harbin winter clothing rentals provide you the best defense against the cold. We have you covered from head to toe! We offer a variety of clothing and boot sizes for both men and women. Prices do not include delivery $5 fees, this will be added to the price. Delivery/Return of Clothing: Delivery can be provided to all major hotels and accredited accommodations. Rate $10.00 per reservation (please note: one reservation can include multiple clothing packages) Typical Delivery Time: Delivery and pick up times can vary to accommodate travel arrival and departure times. *SPECIAL OFFER – Book one of my harbin group tours , free delivery/pick-up of your winter clothing plus, exchange an article of clothing for another size for fee. We offer FREE 24/7 personal help & support via e-mail or by phone or by online chat. Please leave us your message. The more detail your message is the better it is. One of our English speaking experts will get back to you immediately.